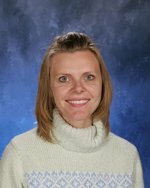 My name is Mrs. Allison Hendrix and I am absolutely delighted to teach at Mountain Vista School. I began my career as an educator in 2000 after graduating from the University of Arizona with a bachelor's degree in English Literature and Composition. I obtained a teaching certificate in Secondary Education and was lucky enough to get my very first teaching job with the Oracle School District. I feel incredibly fortunate to be a member of the tri-community and this fine school. As a second generation teacher here, I am invested in the well-being of each and every child, and look forward to enriching my students' lives with exceptional literature, quality instruction, and high expectations. Our goal in middle school reading is to continually improve our vocabulary, fluency and comprehension. Together, we develop a number of strategies to make us stronger, more thoughtful readers in a classroom that embraces and encourages diversity, tolerance and compassion. Thing to do: Spend time with my family.